Welcome to Prague, a city with a uniquely preserved historical centre that is part of the UNESCO World Heritage List. 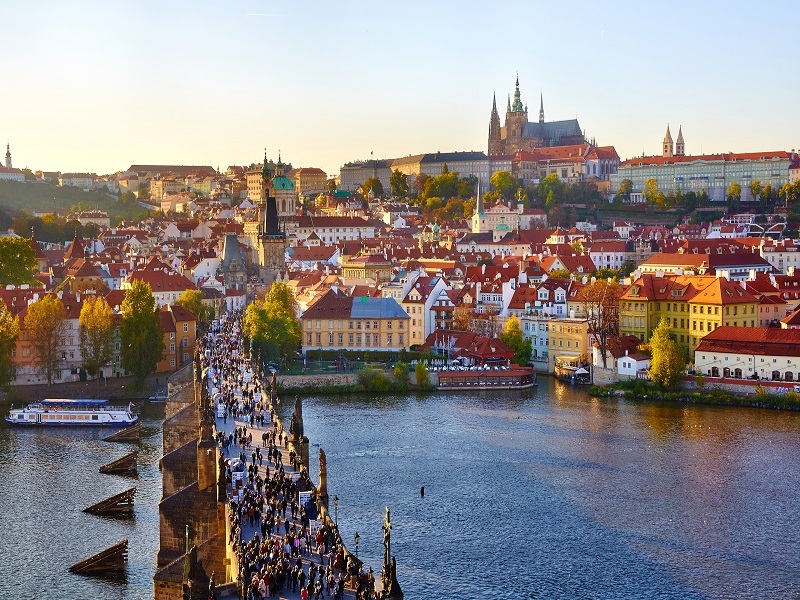 The impressive capital of the Czech Republic, Prague is a perfect blend of old and new. Its flawless architecture dating back hundreds of years acts as the foundations for a place bustling with the activity of a modern city just waiting to be explored. Plenty to see and do ensures that every year, thousands of people flock here to immerse themselves in its culture and attractions. 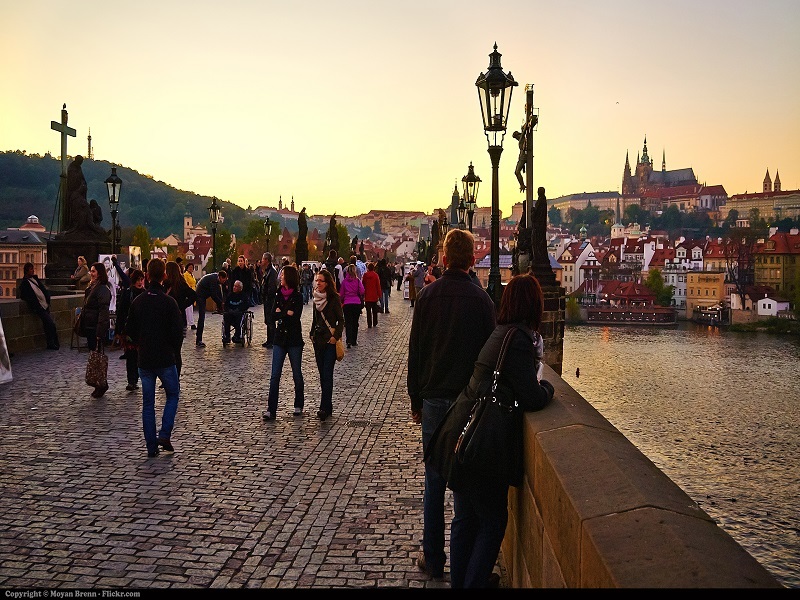 Prague prides itself upon its breathtaking sights, unspoilt over hundreds of years. Lose yourself in Prague Castle, one of the largest in the world, which towers boldly over the old town, before browsing the street stalls along the medieval Charles Bridge. Then sit with a coffee in the lively Old Town Square and watch the famous Astronomical Clock go by. For a light hearted afternoon, why not take a boat onto the river, visit the impressive city zoo, or be tempted by the mouth-watering chocolate museum. Prague also offers many guided tours, where for an affordable price you can see and learn about the history and heritage of the Prague from locals who are passionate about their beautiful city..
City breaks to Prague can be truly breathtaking as the sun sets over the river, but as the daylight fades the city lights up and the winding, cobbled streets offer a chance to stroll around the gift shops before finding a place to rest your feet with some hearty Czech cuisine and a refreshing drink. Its restaurants range from local cafes to high end dining, and cater to an international selection of dishes. And if you are still thirsty for another taste of Prague, its bars are packed with locals and tourists mingling throughout the night. 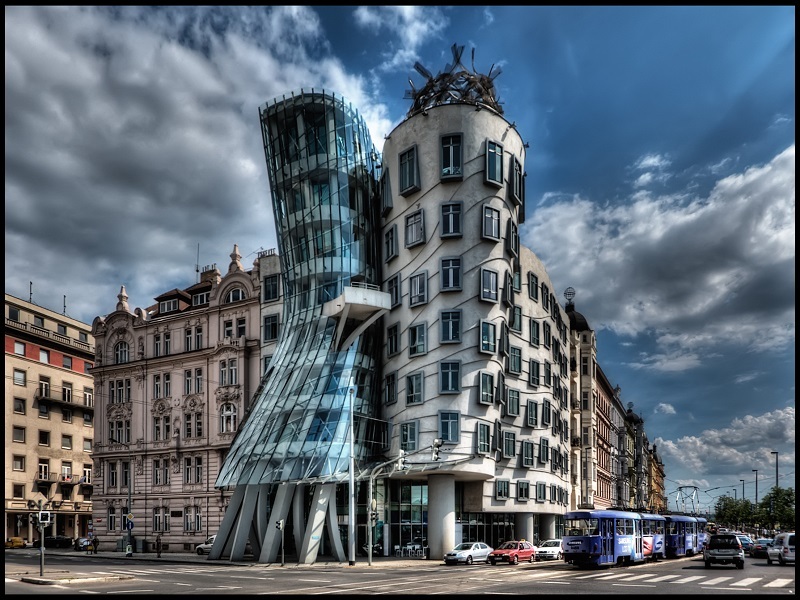 The city also offers ghost tours, as well as bar crawls rooting out the weird and wonderful club venues that Prague has to offer. 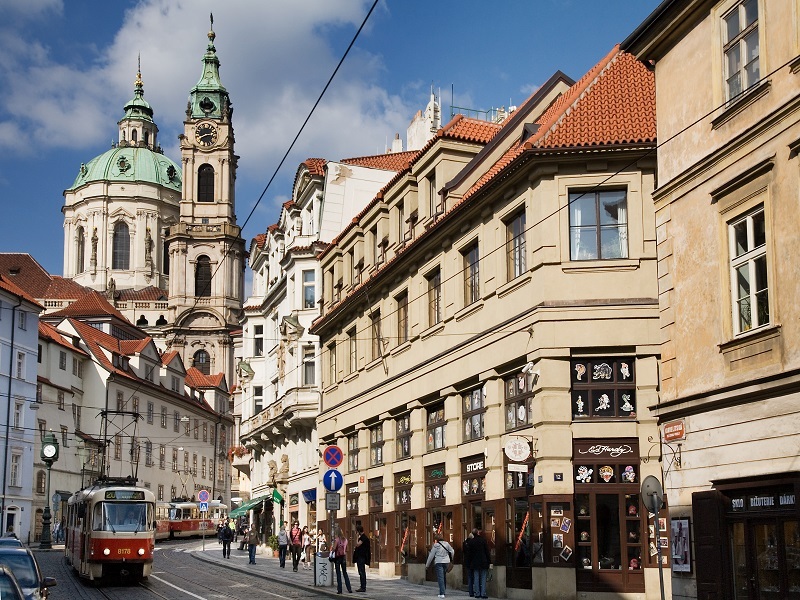 The main markets are held at the Old Town Square and Wenceslas Square (5 minutes walk from each other). There are also smaller markets held at Republic Square, at Havel's Market on Kampa Island, and on the square in front of St George's Basilica at Prague Castle. 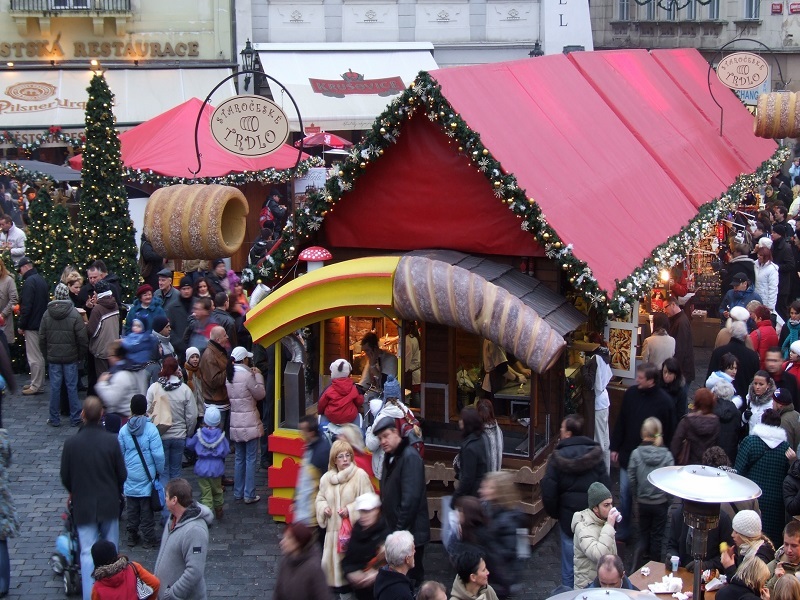 The Christmas markets consist of brightly decorated wooden huts stocked with local handicrafts - ceramics, jewellery, embroidered lace, wooden toys, scented candles, Christmas tree ornaments, hats and gloves, and puppets and dolls dressed in traditional costume. Visitors should find some nice souvenirs to take home to decorate their houses with or to use as gifts. But the markets are not just about shopping. Visitors can sample all manner of local food and drink, and observe traditional snacks being made. Popular food includes: large hams roasted on spits (Pražská Šunka); terribly unhealthy but wonderfully tasty barbequed sausages (klobása); Hungarian flatbread topped with garlic, cheese and ketchup (langoš); pancakes (palačinky); and a variety of cakes and pastries that are prepared in front of you, such as 'Trdelník', a hot sugar coated pastry. For drinks, try one of the famous Czech beers Pilsner Urquell, Staropramen or Budvar. Or choose from a variety of hot drinks: honey wine (Medovina); mulled wine (svařák); hot chocolate (horká čokoláda); and grog, a mixture of rum, water, lemon and sugar. Outdoor Christmas shopping is so much nicer with a cup of hot mulled wine in your hand! Wenceslas Square has a brightly lit Christmas tree too. The lights are switched on at 5pm every evening, also accompanied by music. But what is Christmas without carols? School choirs and folk groups often perform late afternoon on a stage at the Old Town Square. Dressed in traditional costume, the children travel from all over the country to appear. 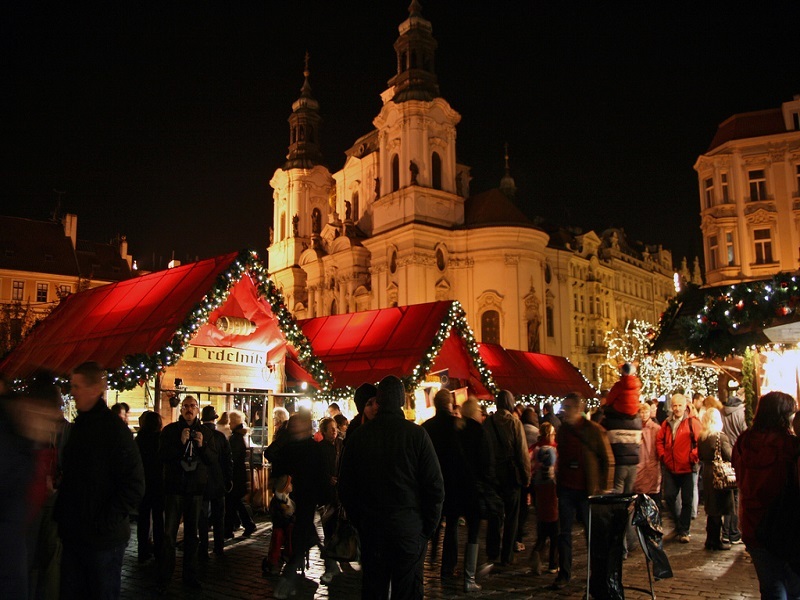 The festive atmosphere in Prague throughout the period of the Christmas markets is simply wonderful. 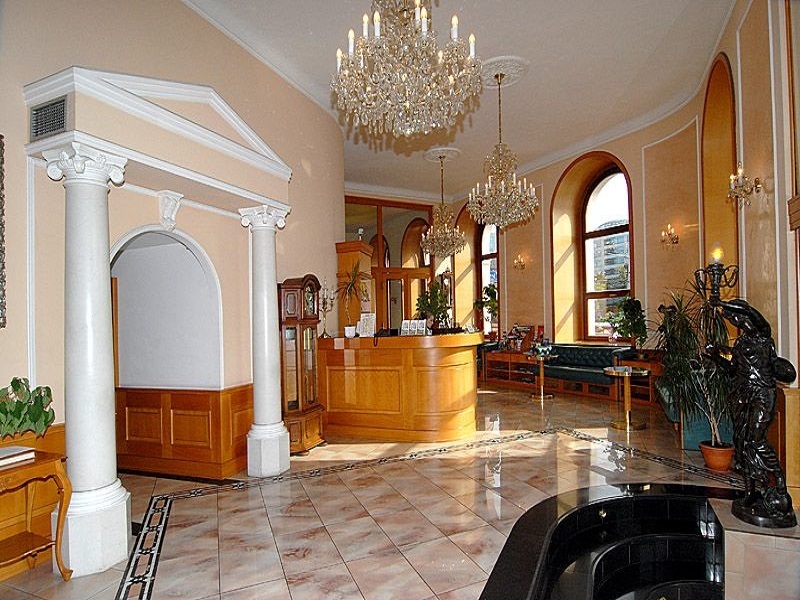 The completely renovated, family-run Hotel Opera is located in a neo-Renaissance building in the centre of Prague. The non-smoking rooms feature air-conditioning, and LCD satellite TVs. Both WiFi and wired internet are available for free. 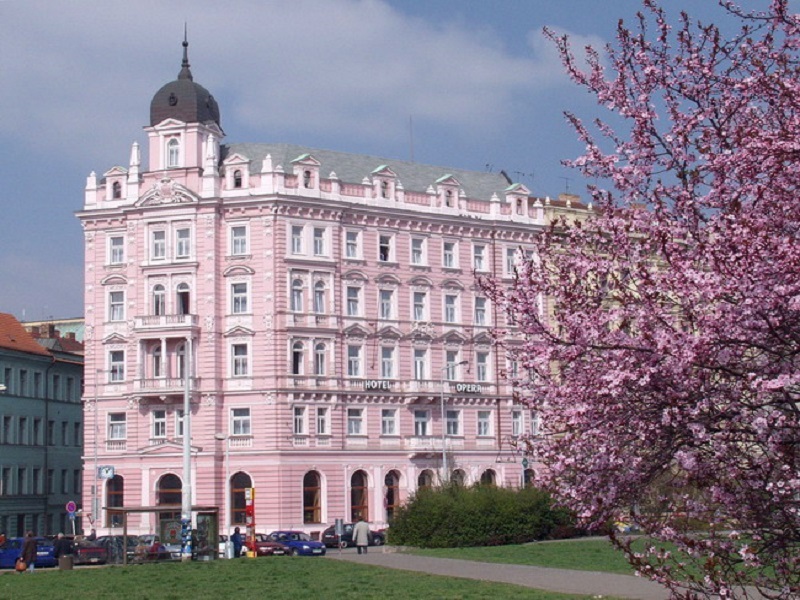 Surrounded by the shops, banks and historical buildings of Prague’s New Town, the Opera Hotel is just 200 yards from the Florenc Metro Station. The Tesnov Tram Stop is just in front of the hotel. 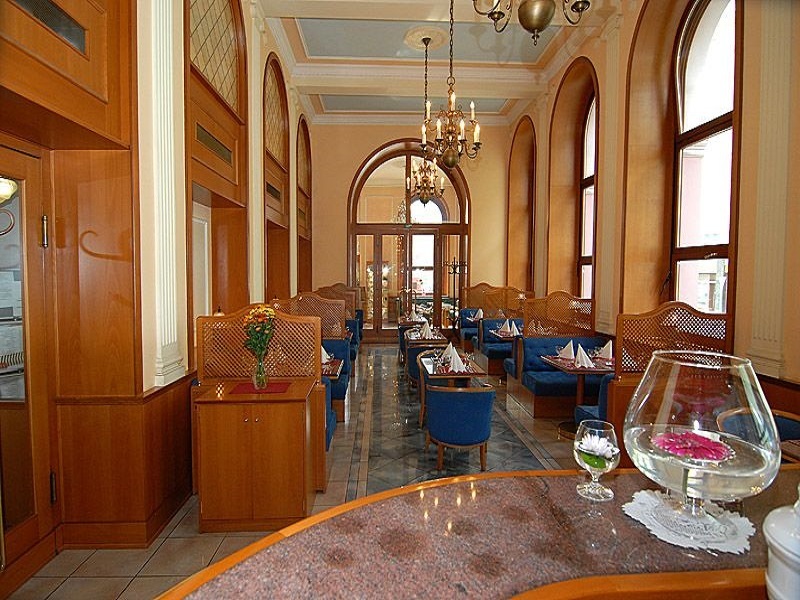 The restaurant serves traditional Czech dishes and international cuisine. There is also a bar where you can sample classic Czech beers. The Hotel Opera offers concierge services, garage parking, and a valet parking service. Guests can relax in a sauna and hot tub, and use a fitness room. 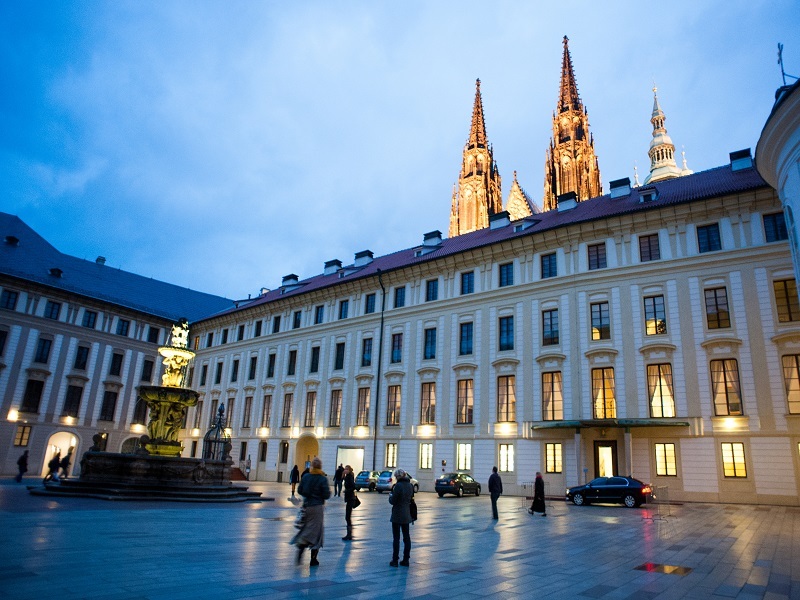 Prague 01 is a great choice for travellers interested in history, architecture and romance.